Caramel Apple Bites.......OMG. Kids will dig these. Little balls of natural sugar. Who can resist. Got a sweet tooth? Having trouble getting over it? These will help. Fifteen minutes later I had these. Which was good because I needed to do a WOD today and had plenty of time to get to the box. It can't get any easier, unless of course you don't have a food processor. If you don't have one, go invest in one. A good one. You'll use it a lot once you have it. Of course if you have one of those super mighty Vitamix blenders or Nijas' they'll work but don't ask me what setting to use. Those things are too pricey for me. Throw it all in the processor and mix until pasty. I added a few drops of water towards the end to bring it together like a dough. Then I rolled them up in tiny little balls of wonderfulness. I would not suggest eating them all in one sitting. It will be hard not to. Just pop one in your mouth every so often to curve that sweet tooth. Got kids? Oh yeah these will be a hit. 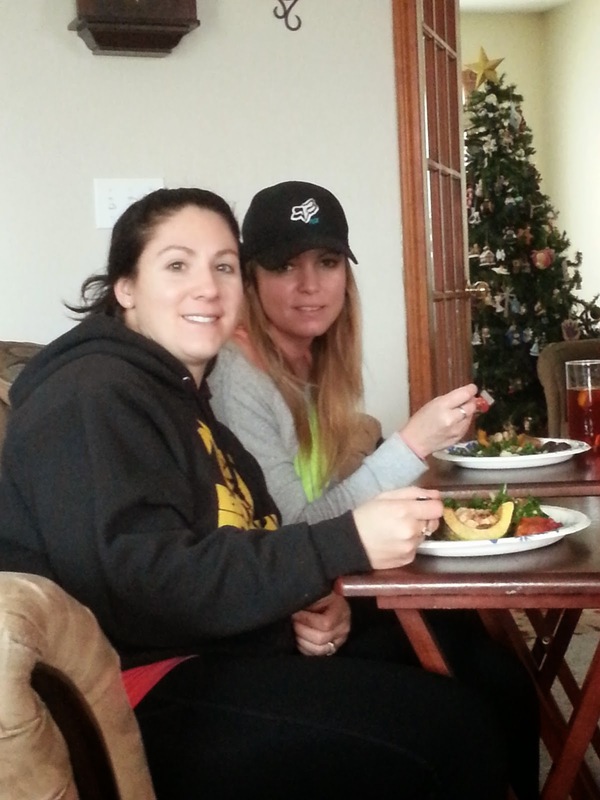 2nd meeting of the group Eat Clean, Train Mean in 2015! Great time this afternoon with this bunch!! The group was developed by Cindy Giacobbe with the intent to bring support to those of us who want and need to eat a healthier cleaner lifestyle. What a fabulous idea and it's taken off to be something pretty cool. If you are interested in our group message me or Cindy on Facebook and we'll let you in our cool club. 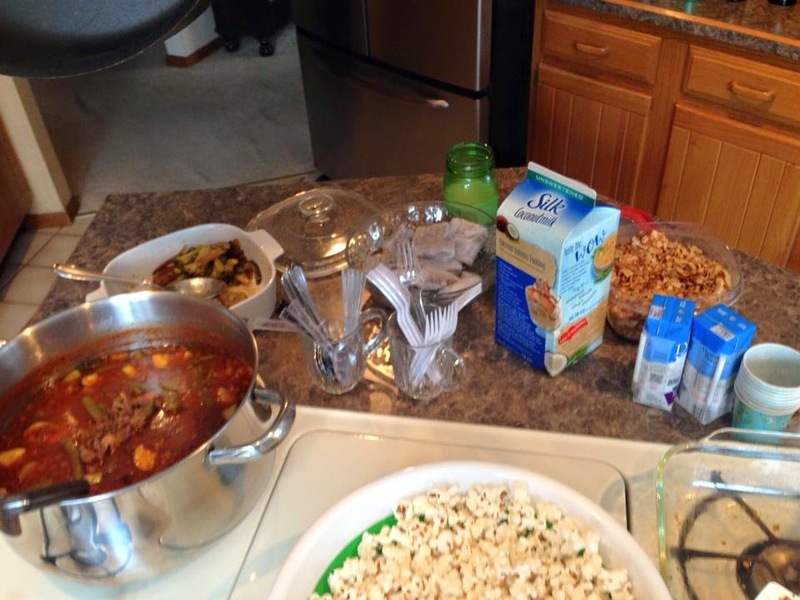 After each meeting I agreed to post what we learned, shared and ate at our meetings so others who can not make them or live out of state can participate and take advantage of the great ideas and recipes we share. Today we had breakfast, lunch/dinner, dessert and snack. We all started with this treat. And let me tell you, with almond milk as a cereal this is crack. You can't eat just one bowl. In a small mixing bowl, whisk together the warmed honey, coconut oil, vanilla and almond extracts until combined. Set aside. In a large mixing bowl, toss together oats, nuts, coconut and chai spice mix until evenly combined. Add in the honey mixture, and toss until the dry ingredients are evenly coated. 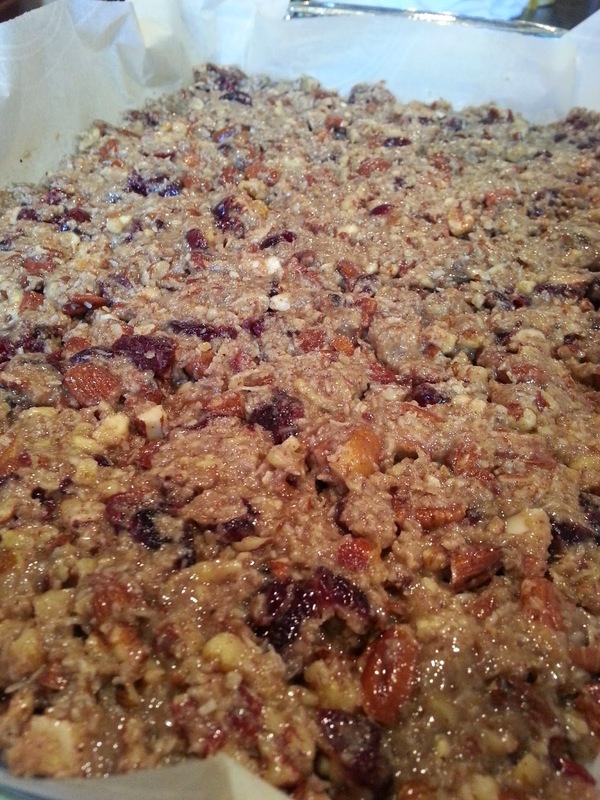 Spread the mixture out on the prepared baking sheet in an even layer. Bake for 20 minutes, removing the sheet from the oven at the halfway point to give the granola a good stir for even cooking. 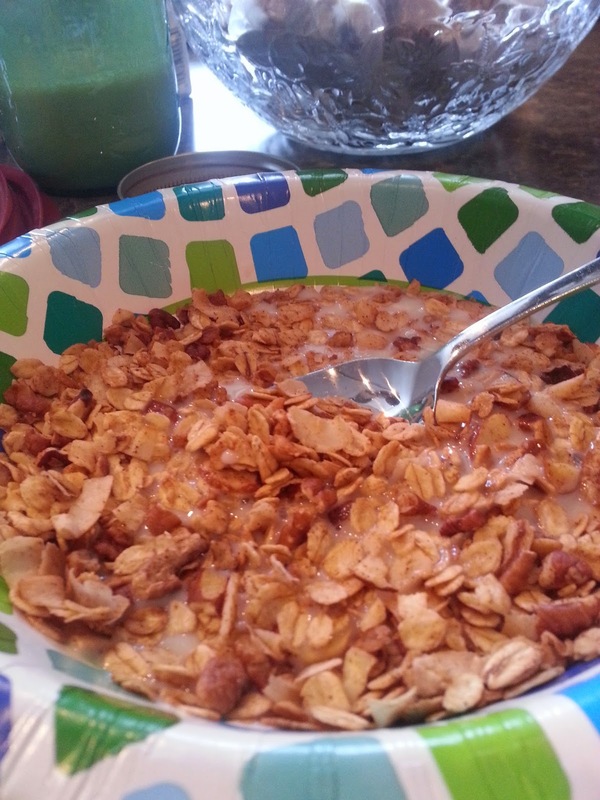 Remove sheet once more and sprinkle coconut flakes on top of the granola and gently stir them into the mix. Return sheet to the oven and bake for an additional 5-10 minutes, or until the coconut and nuts are toasted. Remove sheet from oven and cool on a wire rack. 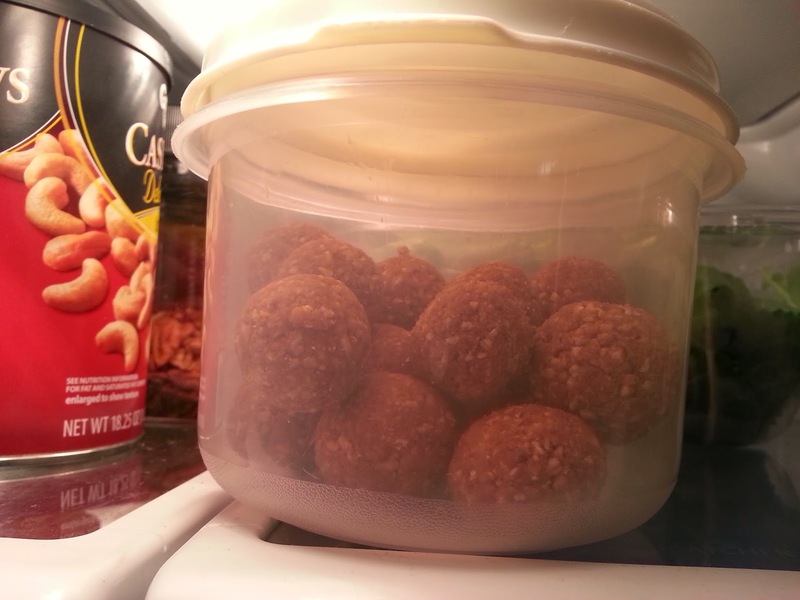 Store in a sealed container and keep for up to 3 weeks. 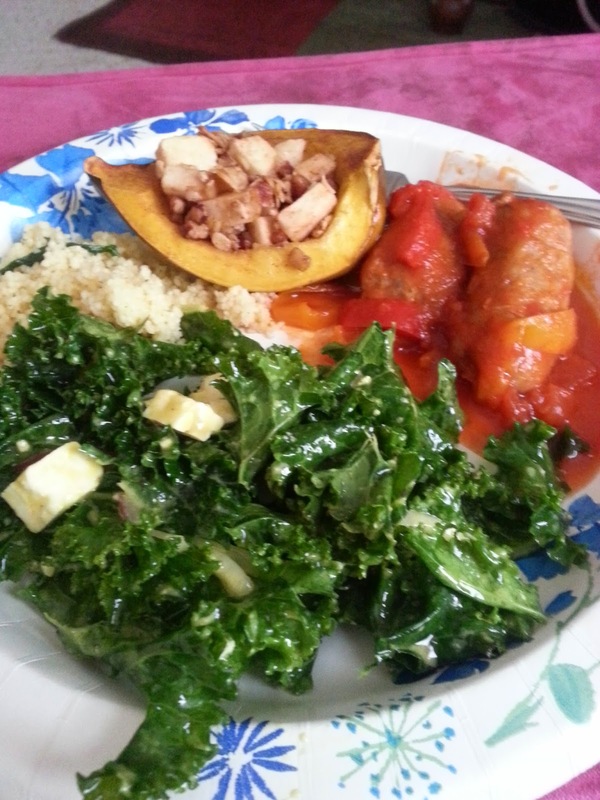 Next we had veggies, veggies and more veggies. 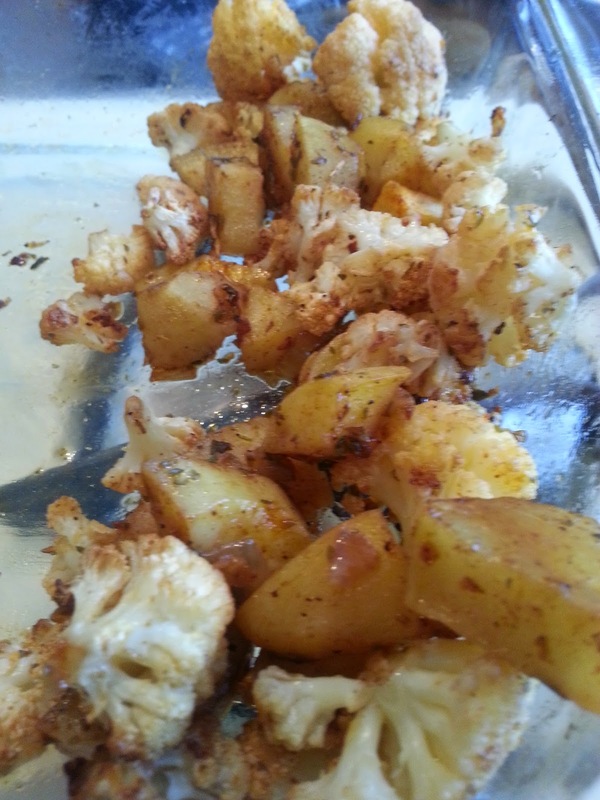 Spread them out on a cookie sheet at roast in the oven until crisp. 350 for maybe 20-25 min. Julieann suggests finishing a glass of wine before checking to see if they are done. The time also depends on your veggies. Once done, take about 1 Tbls of melted coconut oil and mix together. This will soften the veggies. 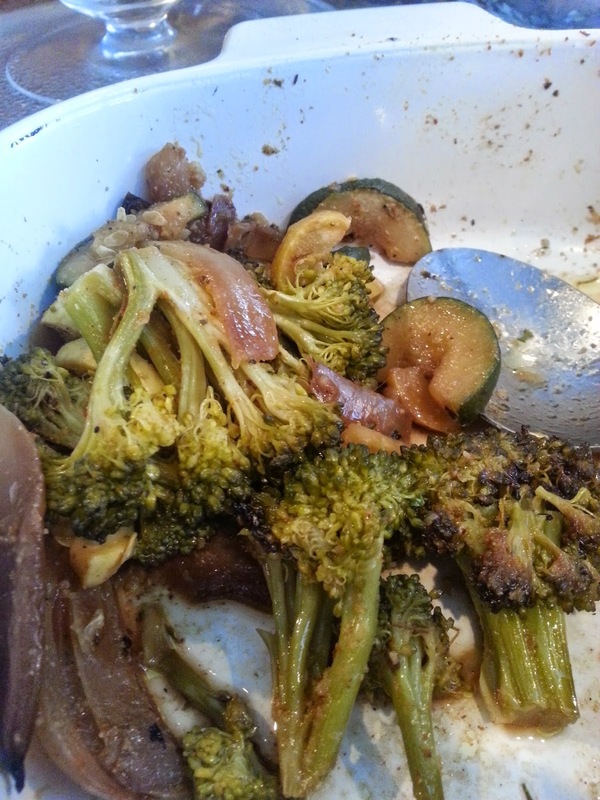 If you like them crispy omit the coconut oil. I'm posting the recipe I followed. However, I did not follow the recipe exactly. I had several variables that I've listed within the recipe below. So what we ate will never be duplicated. But I'm sure you can come close. Soups are kind of like that. Mix it up a little and if your close it's still going to be delicious. 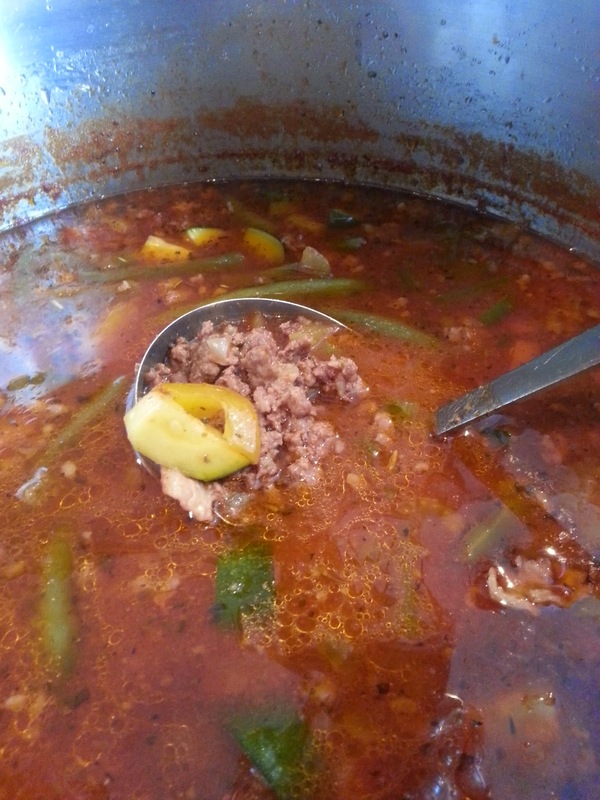 1 tbsp creole seasoning - you can use any spice here that you will give your soup some kick - I didn't have this so I looked up whats in it and just sprinkled each seasoning in the soup. I didn't measure just guessed. 1 28oz can tomatoes - diced - nope, didn't have. So I added a cup of chicken broth I had in fridge and small can of tomato sauce and a small can of tomato paste. 2 cups beef broth - yep maybe a little more. in a medium size stock pot, cook bacon on medium heat until it starts to brown, but not crisp! add the onion and celery and cook until onion becomes translucent. Last but not least we enjoyed fresh clean popcorn. Made on the stove top with olive oil and sea salt. The olive oil gives it a buttery taste without the bad of butter. Use a large tall sauce pan, cover the bottom of the pan with kernels. Pack them in there so you don't see the bottom of the pan, but only in a single layer. Next drizzle them with olive oil. How much is up to you. The more olive oil, the more flavor you'll have. Cover the pan and set heat to medium high. Shake the pan back and forth to mix up the kernels and oil. Let cook. Go relax and have a glass of wine....but listen....when you hear it start to crackle and pop, shake it again to keep it mixed up. Let it go until you don't hear popping anymore. Careful.....don't burn it. Keep shaking it back and forth every so often. 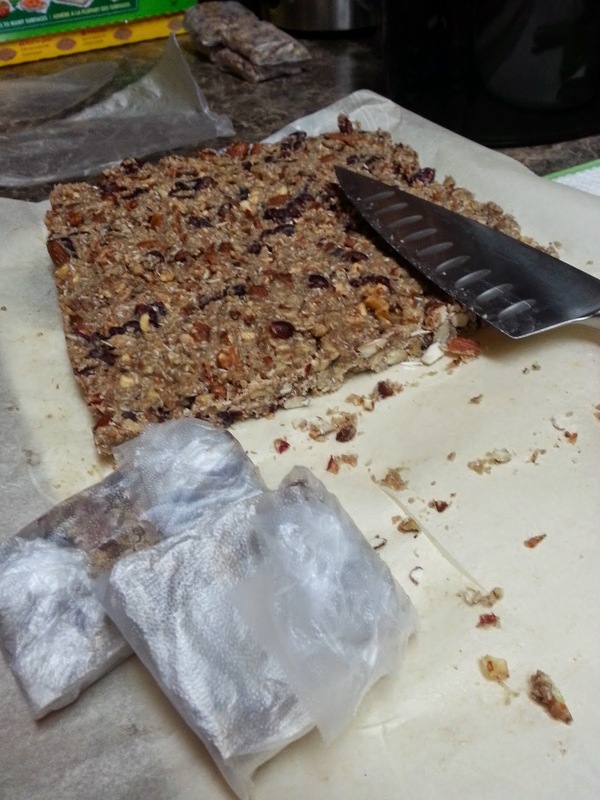 Homemade granola bars....posted earlier on my blog. My husband likes to buy meats from the 5 for 20 section of our local grocery store. This presents a challenge because I have to cook what he buys right away. Which is okay. Today I had pork chops. I'm not a fan because they always come out dry. Even if I try really hard to not overcook them. Guess it's a pork chop thing. They had a brine recipe to go along with this recipe. So I thought I'd give it a try. And I'm thankful I did. 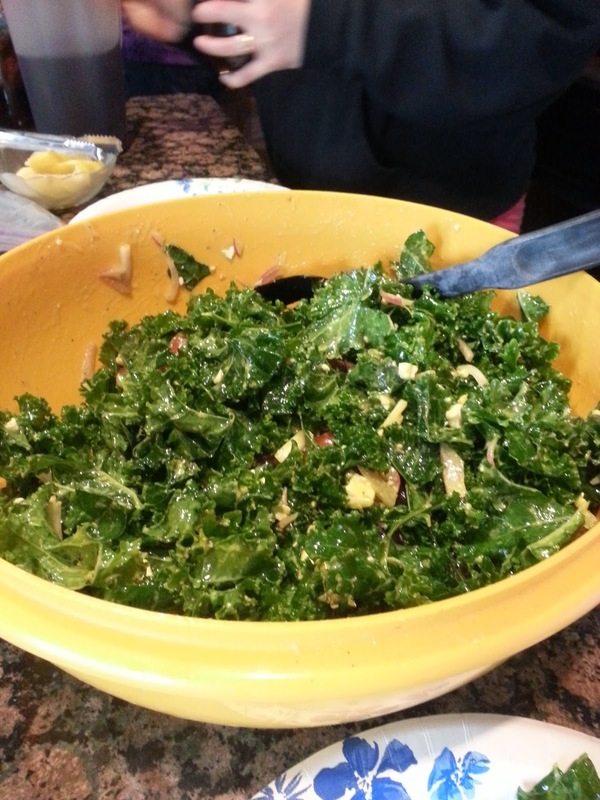 In a saucepan combine 3 cups water, 1/4 cup apple cider vinegar, 1/4 cup sea salt, 1/4 cup raw honey, and 1 Tbsp. black peppercorns. Bring to a boil and stir to combine. 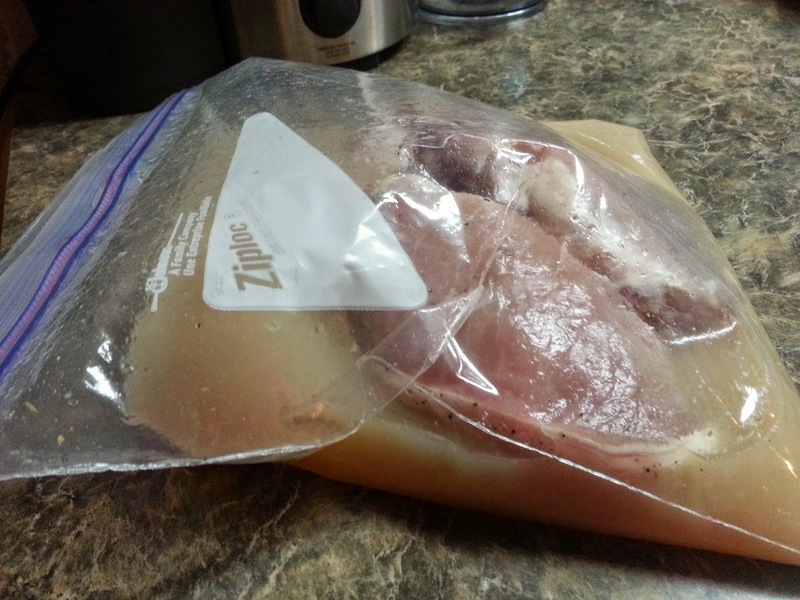 Allow to cool completely, then put the chops and brine in a large plastic resealable bag and place in the fridge for about 2 hours. 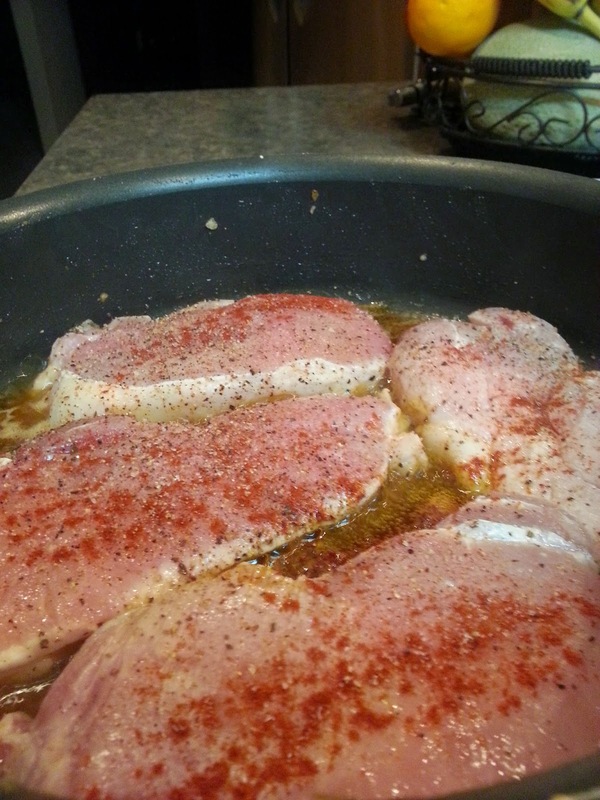 Rinse the chops and pat dry before cooking. Directions:1. Wipe the mushrooms with a slightly damp paper towel to clean. Slice the mushrooms and set aside. 2. Heat a large saute pan over medium high heat. Add 2 Tbsp. of lard/bacon fat or tallow to the pan. Add the chopped onion and garlic and saute for about 2 minutes or until onions are translucent. 3. Add the mushrooms to the pan, making sure to leave some space between each one. You may need to cook them in a couple batches depending on the size of your pan. When the mushrooms begin to turn brown, about 2-3 minutes, flip them over with a pair of kitchen tongs and cook for another 2-3 minutes. 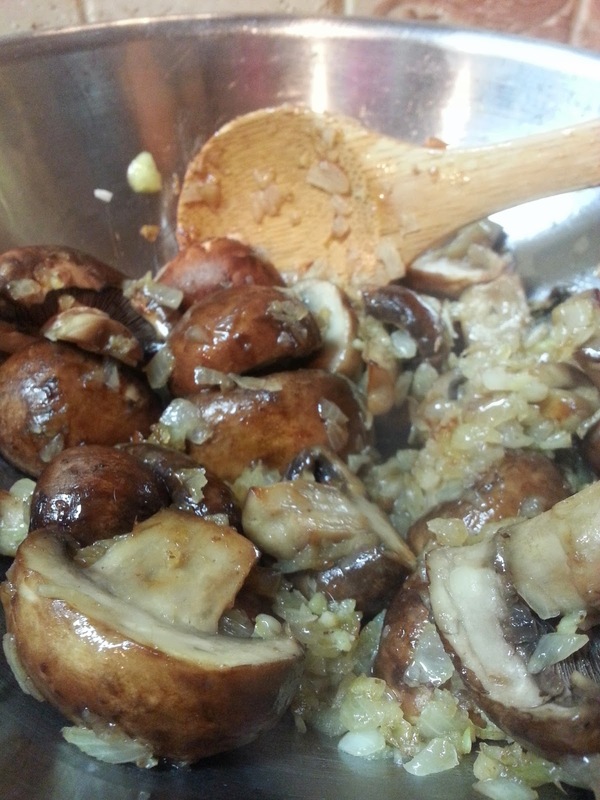 Sprinkle the mushrooms lightly with sea salt and ground pepper. Remove the mushroom and onion mixture from the pan and set aside. 5. Remove the lid and return the mushroom mixture to pan, turning the heat up to medium-high and cooking for an additional 2 minutes. 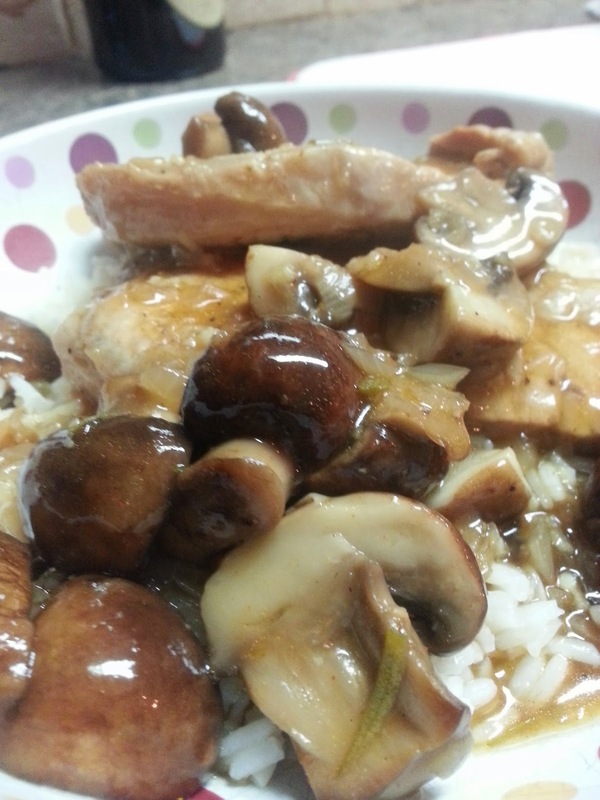 Remove form heat, place the pork chops on a serving platter, top with the mushroom sauce from the pan and serve. 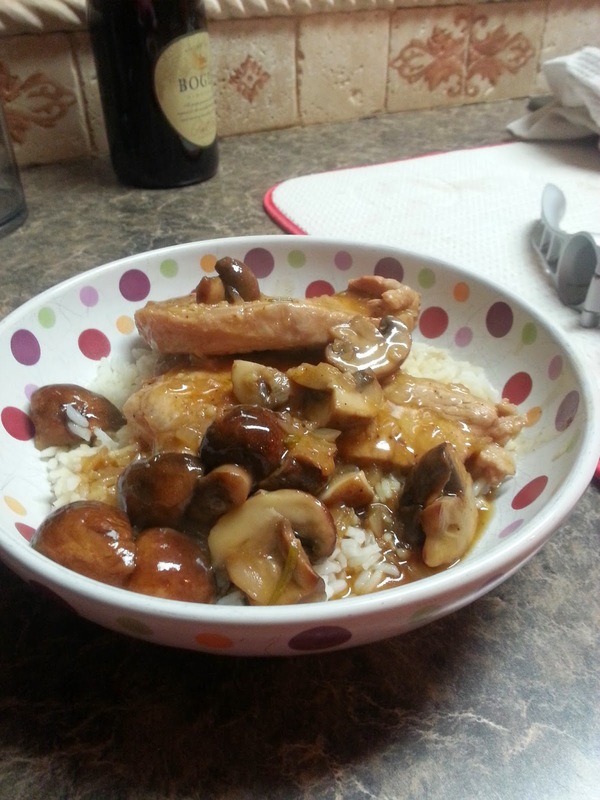 I used portabella mushrooms and at the end added some corn starch to thicken the sauce. About 1 Tbls spoon, watered down to mix in. 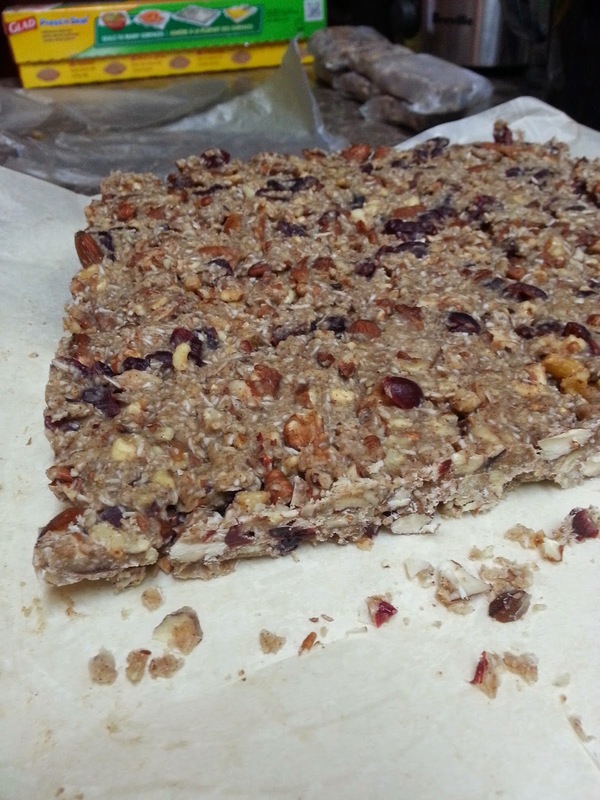 Paleo Granola Bars - but there's no oats so aren't they really just Nut/Fruit Bars? 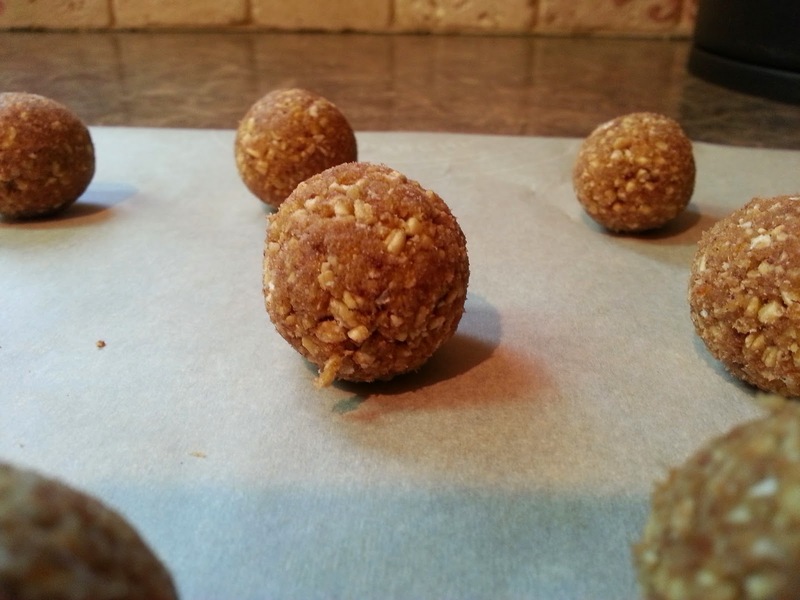 The next batch I'll include a 1/2 cup of protein powder to give them some extra oomph. Pull out a 9x13in Pyrex dish and throw down a layer of parchment paper. Set aside. Pour assorted nuts and seeds into a large mixing bowl and combine. Take 1 cup of assorted nuts out of bowl and add to a cutting board. Use a sharp knife to chop nuts into smaller pieces. Take remaining 2 cups of assorted nuts and add to a food processor. Pulse until they're chopped much smaller, a variety in sizes of nut pieces will be good for look and feel of the bars. Add the nuts from the food processor and the cutting board back into the mixing bowl and stir to combine. Add the dried cranberries to the mixture and stir to combine. Add the shredded coconut to the bowl and again, stir to combine. In a small saucepan add coconut oil, sunflower seed butter, honey, vanilla, salt and cinnamon. (Maybe add a few more shakes of cinnamon while doing that too.) Cook, stirring over medium-low heat until it starts to bubble. Once bubbling, remove from heat. 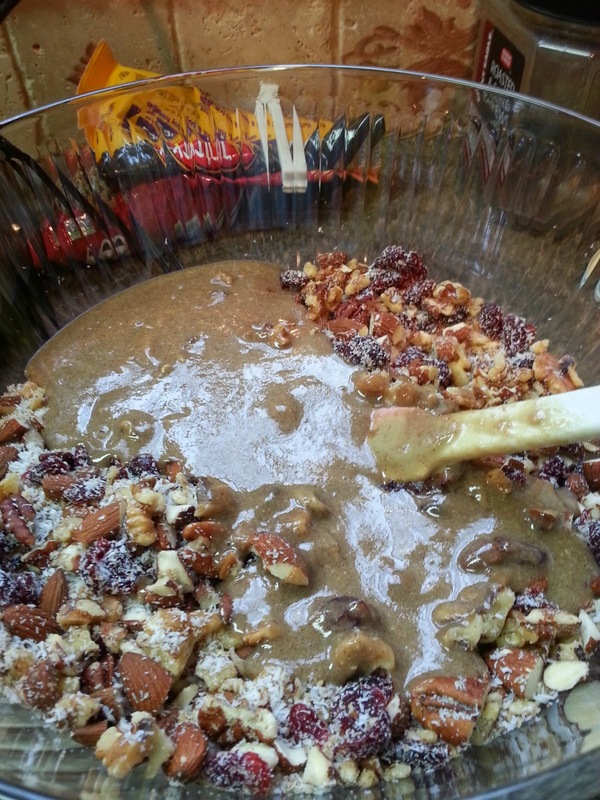 Pour the liquid mixture over the nut mixture in the mixing bowl and stir to combine. Make sure everything is mixed well. Pour the nuts-and-honey mixture into the previously set up dish on the parchment paper and either use a second sheet of parchment paper, slightly wet hands or a spoon to press firmly to pack the ingredients together. Make sure, then double check, that everything is nicely packed together. Let the mixture sit on the counter and settle for 2 hours. Cover and put in the freezer for 1 hour, or longer. Using parchment paper makes it super easy to now take the large sheet of granola out of the dish and transfer it onto a cutting board. 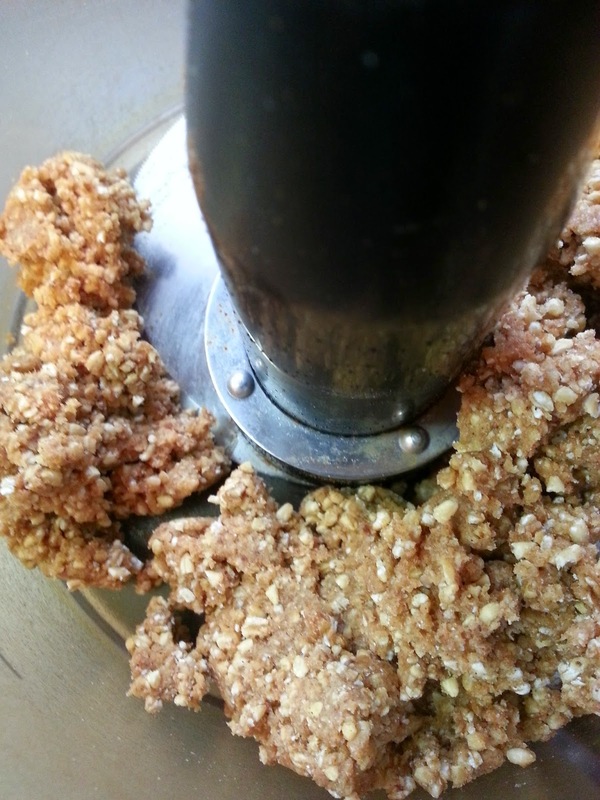 Use a sharp knife to slice (not saw, otherwise they have a tendency to start to flake apart) the bars into whatever size pieces you'd like your granola bars to be. I did rectangular/squarish, palm size pieces. "Eat Clean, Train Mean in 2015"
A fantastic group of individuals with a common goal. To do better with eating, fitness and health in 2015. Cindy Giacobbe is the brain child of this group and what a fantastic idea! 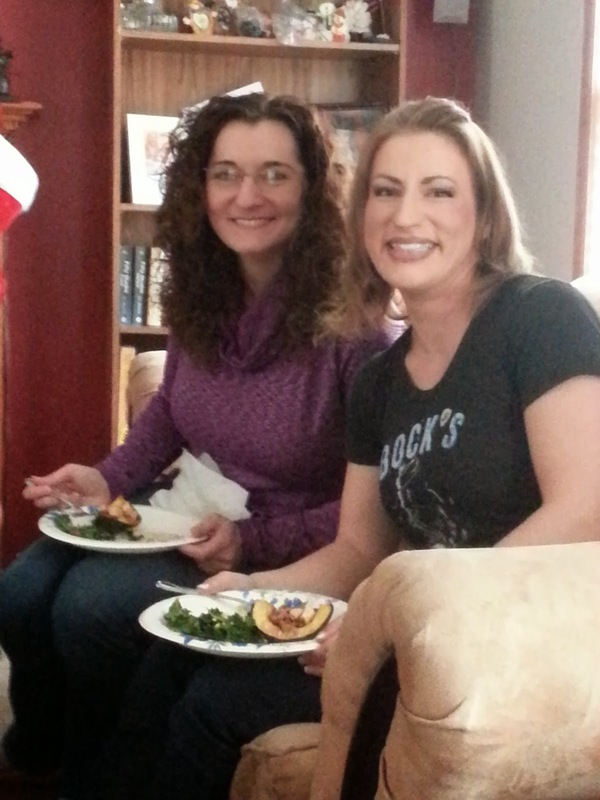 We share ideas, recipes, concerns and of course offer support to each other. We have a facebook group and and plan to meet on a regular basis through out the year. 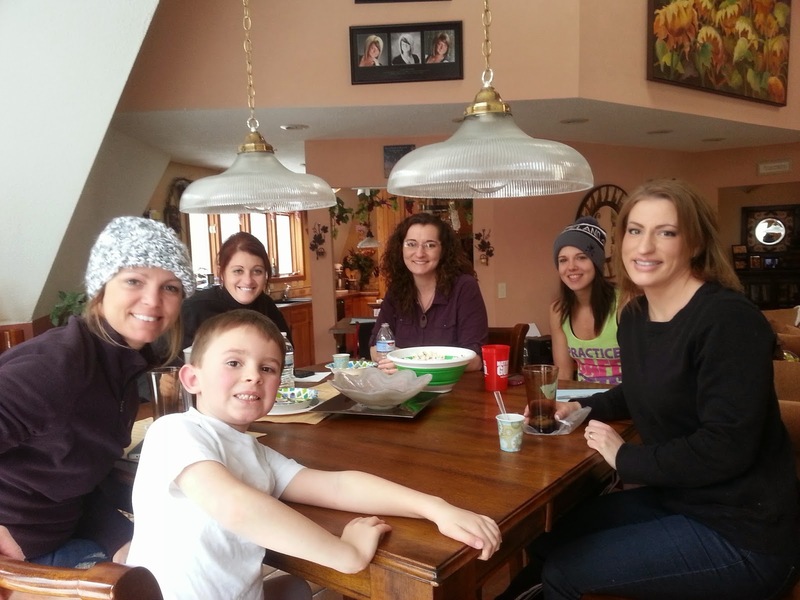 Cindy opened her home today and a few of us took advantage of it. We each brought a "clean" healthy dish to share. No one needed dinner after this event! It was awesome stuff! 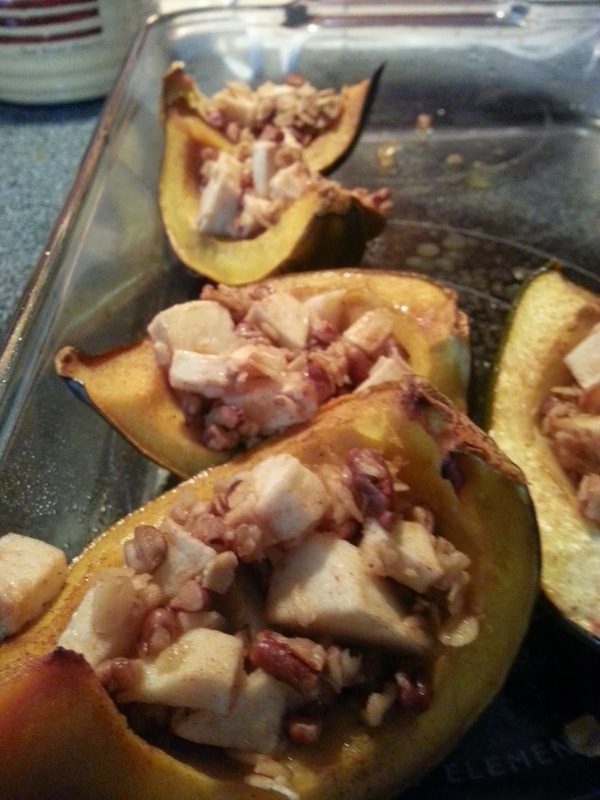 Cut your Acorn Squash in half length-wise and remove seeds and fibers. Cut 2-3 little slits in the inside of the hallowed out Squash. Add water to the bottom of the pan. Bake the Squash for 20 minutes. 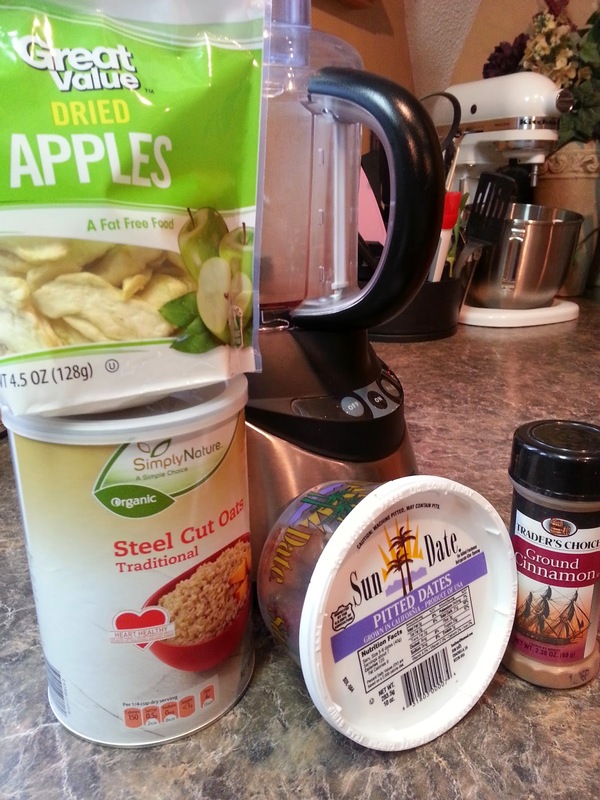 In a bowl, mix Apples, Oats, Nuts, Honey, Butter and Cinnamon. After 20 minutes, remove the Squash and fill with the Apple Mix with a large spoon. You are going to need to really pack it in there and it will still be over flowing a bit. Once they are full - put them back in the oven for 20 minutes. You'll know it's ready when it is a nice golden brown. I feel like this salad is a great canvas for little changes to fit your fancy. It would be nice with a fresh torn crouton, maybe a grilled protein of choice to make it a more filling meal, or I've added some cooked black lentils. If you find yourself with salad responsibilities for a summer dinner party, this would hold up well, even dressed in advance, and could sit for awhile without getting wilty. 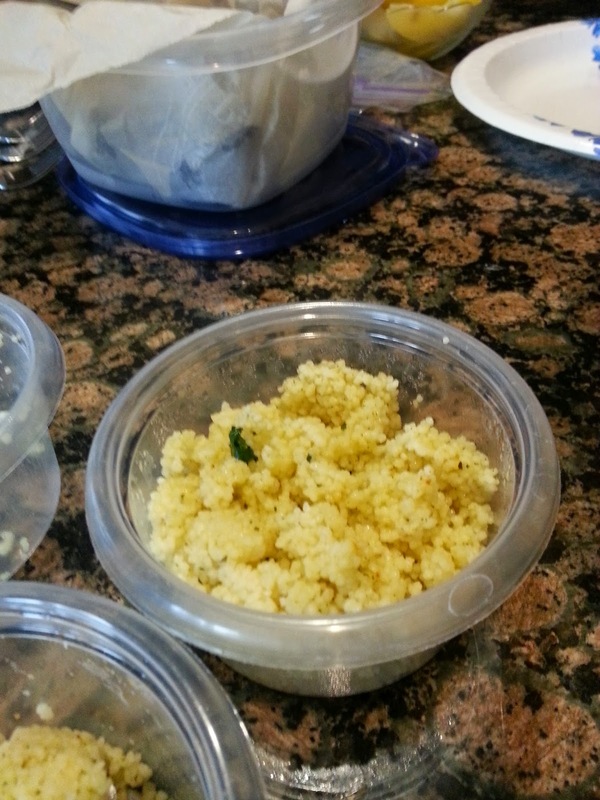 Pretty easy - follow directions for couscous using coconut oil, add in garlic salt to taste. Once couscous is done, add in spinach while hot and mix well. NEXT MEETING IS SCHEDULED FOR JANUARY 11th at 2pm. We'll make something as a group that we can all take home!!. If you are interested in attending message me! !